Bello ( ) is a town and municipality in Antioquia Department, Colombia and is a suburb of Medellin, the department capital. 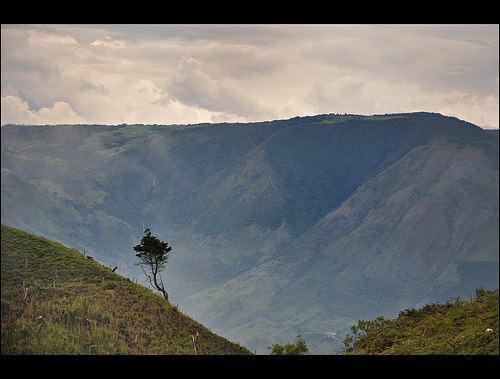 Bello is part of The Metropolitan Area of the Aburra Valley in the department of Antioquia. It is bordered on the north by the municipality of San Pedro de los Milagros, on the east by the municipality of Copacabana, on the south by the municipality of Medellin and on the west by the municipalities of Medellin and San Jeronimo. Meaning "the Beautiful one" in English, Bello was founded in 1676 as "Hato Viejo" to later change its name in honor to Andres Bello becoming a city in 1913. The city is also known as the "City of Artists" in Colombia. Its current mayor is Oscar Andres Perez. In July 1541 troops under the command of Jeronimo Luis Tejelo (Deputy Marshal to Jorge Robledo) found the wide valley of Los Aburra inhabited by indigenous farmers who had "a habitat organized in groups with scattered houses, forming clusters of houses". This was especially true in the town of Niquias, which occupied the territory now called Bello. In 1574 the Spanish subject, Gaspar de Rodas, requested a land grant for the Aburra Valley from the town hall of Santa Fe de Antioquia in order to establish therein "herds of livestock and agricultural plots", in order to provide food for the conquest. He was awarded the territories from the hill or "Asientos viejos de Aburra" – an area which is now occupied by the Medellin town center – down, including the Niquia territory. In 1576 the captain of Rodas came to exercise control over the area from the Spanish Crown, permitting the use of the territory for corrals, ranches and flocks. From 1613 the area began to be called Hatoviejo instead of Hato de Rodas or Hato de Aburra to distinguish it from later herds. In this context the colonizers exercised their chivalry, understood as "that noble philosophy that reacted against innovations." Thus they endowed their farms with chapels to signify prestige and noble origin and so it can be inferred that in Bello the colony was not given a foundation that "involve a regular pattern of squares and streets. Hatoviejo was not a village as it was in the beginning the town of Candelaria." The chapels that were constructed were Our Lady of Chiquinquira (in 1653) Our Lady of the Rosary (1720) Our Lady of Sopetran (in Madera in 1775) and Our Lady of Guadalupe (in Fontidueno, 1761). Later these temples were moved or demolished, as happened with the Hatoviejo Parish Church of Our Lady of the Rosary, demolished in 1788 in order to build the Chapel of Hatoviejo in 1792, which still stands. At the end of the eighteenth century, in 1788, Hatoviejo was elevated to the status of party, assigned to the jurisdiction of the town of Nuestra Senora de la Candelaria in Medellin. In Hatoviejo the land was organized according to the economic role of its people. The reference to "Calle arriba" (Up the road) and "Calle Abajo," (down the road) was common. The square and the Church of the Rosary were used as the central point. On 28 December 1883 the "Ciudadano Presidente " of the Antioquia State renamed the village from Hatoviejo to Bello, at the request of a group of people who felt that the name "Hato" made them despised and humiliated as hato was a place for animals. Instead, the name Bello was "more cultured, more appropriate and more worthy of the great patriarch of American letters" (Andres Bello). Bello forms part of the Aburra Valley, a valley in the Andes mountain range. 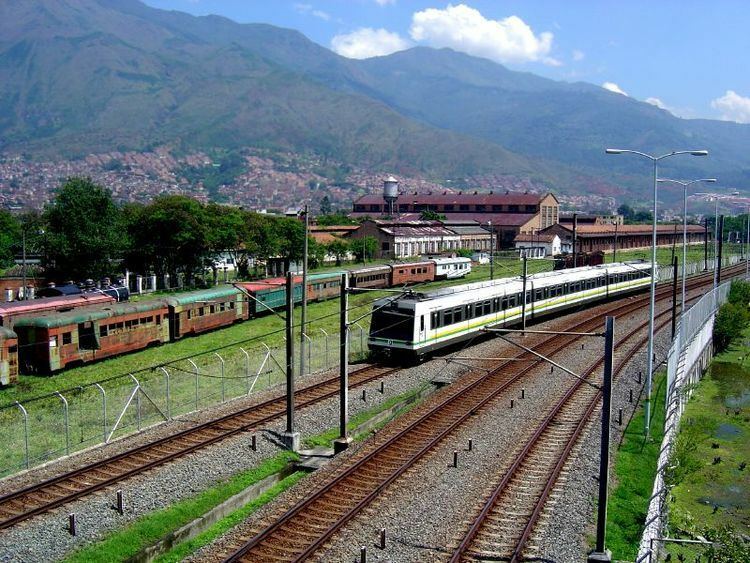 It is located next to Medellin at its northern border in the Valley of Aburra. The climate is warm and is affected by gentle winds throughout the year. The city has a total area of 142.36 km² of which 19.7 km² are urban land and 122.66 km² is rural land. This valley is fully urbanized in the plains, and very busy on its slopes. In the valley it is crossed by the Medellin River, which runs south-north, and its 57 streams throughout its 70 kilometers. Topographically the urban part of the city is a tilted plane that descends from 1600 to 1400 meters above sea level. Bello is in the northern part of the valley and the mountains surrounding the city exceed 2,500 meters. The main topographic feature is the Cerro Quitasol (pyramidal mountain, 2,880 meters above sea level), located north of the city and considered by its grandeur as the tutelary hill of Bello. The city, being located in the tropics, does not experience climatic changes. The average rainfall is 1347 mm., And its temperature is determined by climatic zones ranging from desert, through cold up to medium where he is the highest, which has an average temperature of 25.7 °C throughout the year, alternating between dry and wet periods and is cooled by winds that blow along the valley throughout the year. Additionally the area receives trade winds that blow from the lower valleys of the Cauca river to the west and the Magdalena river to the east and middle, creating a dense layer of warm air, which causes the lower part of the town and some surrounding areas to increase in humidity and increase barometric temperature. 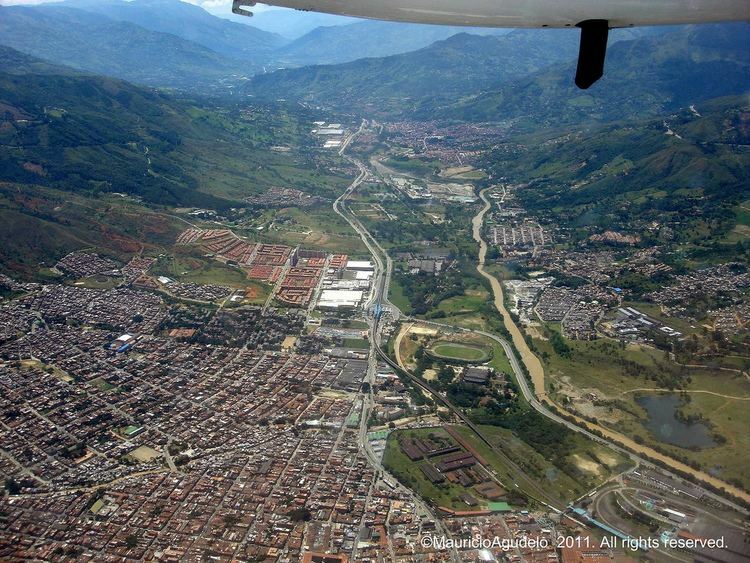 As a result of the wind, northern municipalities such as Bello, Copacabana, Girardota and Barbosa are warmer than the Antioquia capital of Medellin, despite its proximity. In the urban area the main economic activities are related to textiles, concentrates, organized trade, informal trade, exploitation of sand pits and quarries The rural area is devoted to agriculture and livestock on a small scale.